Tuesdays’s guest on the NEXT DIMENSION RADIO show is cutting edge clinical nutritionist Rheannon Reiss. Rheannon will discuss frequency healing: what it is, how it works, and how it affects healing. We will also discuss various illness and nutritional protocols to overcome their harmful effects and restore the body to balance. On Tues. Sept 20 at 8 pm EST Alan Mesher will share more amazing healing stories from a 30-year career as an energetic healer. These stories are educational, inspiring, uplifting and elevating. They indicate what is possible. Don’t miss it! 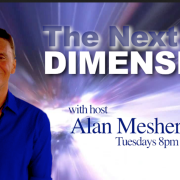 Tues night at 8 pm est on THE NEXT DIMENSION RADIO SHOW Alan will share amazing healing stories from his 30yr career as an energetic practitioner. When people’s emotional energies are brought into balance remarkable transformations occur. Don’t miss this fascinating hour! Who are the Jesuits and what is their real agenda? Political Analyst Michael Thomas returns to discuss Hillary’s health issues as well as the hidden role the Jesuits play in American politics and have played in world politics for hundreds of years. Who is the “Black Pope” and what is his role in the globalist agenda? 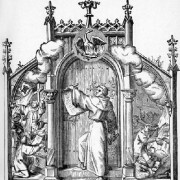 Are the Jesuits priests and teachers or are they something more sinister as well? Michael Thomas, political analyst and editor of www.stateofthenation21012.com returns to discuss the presidential race. Is it over? 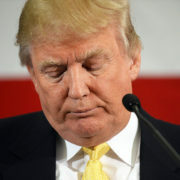 Is Trump done? What are Trump’s connections to Putin and Russia? What about the Clinton Foundation and its possible illicit activities? And what about the number of people who have been murdered after challenging the DNC or writing exposes about the Clintons? Are these deaths merely coincidences or is there something more to the story?